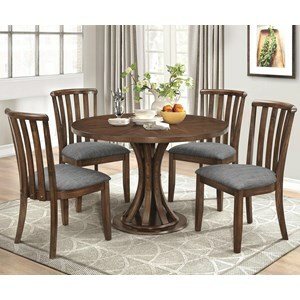 Give your home a stylish and functional dining space with this transitional table and chair set. 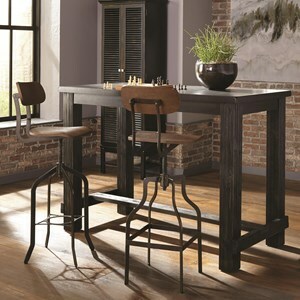 The table features live edge detailing on its top that's mirrored in its trestle base. 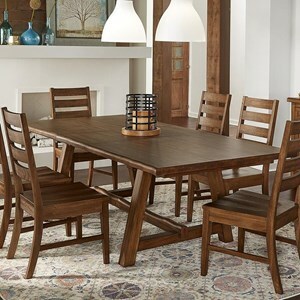 Plus, its self-storing butterfly leaf makes adding more seating space a breeze. 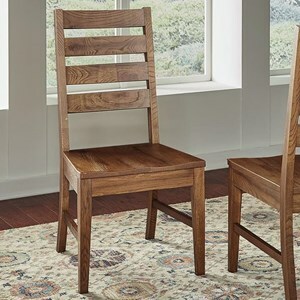 The ladder back chairs with their contoured seats complete the design, guaranteeing your decor feels warm and welcoming. 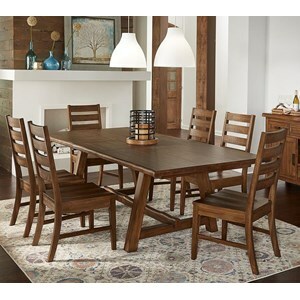 The McLaren Transitional Solid Wood 5-Piece Dining Set by AAmerica at Value City Furniture in the New Jersey, NJ, Staten Island, Hoboken area. Product availability may vary. Contact us for the most current availability on this product. 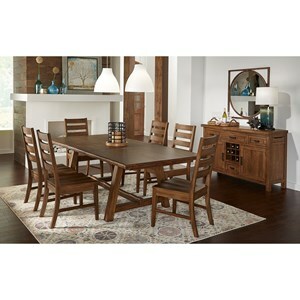 Enhance your decor with the beauty of solid oak when you welcome this dining collection into your home. 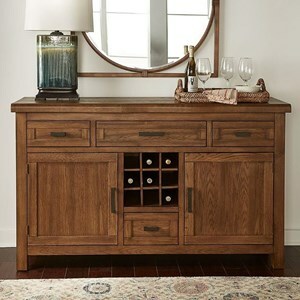 These classic designs incorporate live edge detailing and clean lines to bring you tasteful, durable designs you'll enjoy for many years to come. 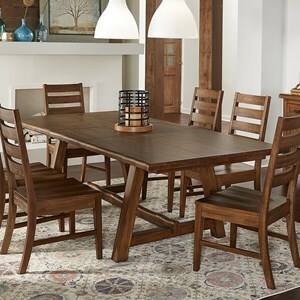 The McLaren collection is a great option if you are looking for Transitional Transitional Transitional furniture in the New Jersey, NJ, Staten Island, Hoboken area. 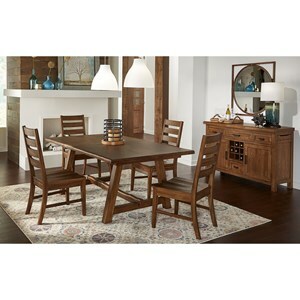 Browse other items in the McLaren collection from Value City Furniture in the New Jersey, NJ, Staten Island, Hoboken area.